Everything about the process was seamless. It began with Alex who was a true professional and continued all through the buying process. 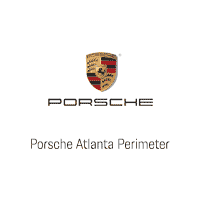 I would give my heartiest recommendation to only by your next Porsche from Jim Ellis and Alex Bouquet! Great experience. Purchased my first Porsche from Brandon Matsumoto and I highly recommend working with him. He answered all of my questions and helped me find what I was looking for. In addition, the entire team was very professional and delivered an above average experience - in particular, Ryan and Carol. Ezequiel was a great salesman. Kept me apprised throughout the process and was deligent with answering questions. Would recommend him to another client in heartbeat. Overall service experience was good. Had a tail light issue that was fixed. Also the brakes were making a noise and it was checked out. I was given periodic updates, which was nice. Chad Pierce was so incredibly helpful in our online purchase of a Porsche, that I felt compelled to leave him this review. He gave me his cell and followed up on all issues. This was better than my prior experiences at local dealerships. If you are looking for Grade A customer service, Chad Pierce @ Perimeter is the guy.